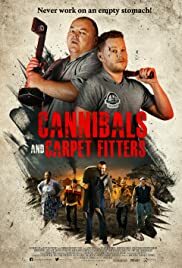 New Trailer/Poster – Cannibals And Carpet Fitters – Opening December 11th! Two aspiring filmmakers document the mishaps of their first feature film, with the guidance of their eccentric lead actor. Dean & Colin are two carpet fitters who are called out to a job in the middle of nowhere by a sweet elderly lady Mrs Hanning. However the house has its own secrets and the two quickly realize that this maybe the last job they ever go to. In a rural mountain town, an unstable drug addict must unravel a surreal murder mystery as he's terrorized by malevolent ghosts, a deranged sheriff, and the frightening hallucinations from his withdrawal. During an outbreak of a deadly plague, a mystical woman must save her tight-knit Jewish community from foreign invaders, but the entity she conjures to protect them is a far greater evil. A Russian woman travels to America with her daughter to marry a reclusive billionaire, who turns out to be a psycho who sends their lives spiraling into a living hell. A group of college freshmen pledge an exclusive fraternity but soon realize there's more at stake than they could have ever imagined. A group of carpet fitters are sent on a job to an old Country house in the middle of nowhere. However they soon discover it's a trap set up by the savage, cannibalistic family, The Hannings. The carpet fitters are forced to fight for their lives or risk ending up being the evenings dinner. Unfortunately they are not quite your typical heroes! Never work on an empty stomach! Not bad at all. I expected something cheap and lame but it is pretty decent, it´s no masterpiece or new cult classic, but it´s pretty entertaining, the performances are just fine and most of the gore/kills are really well done, which rather surprised me since this must have had a rather low budget. 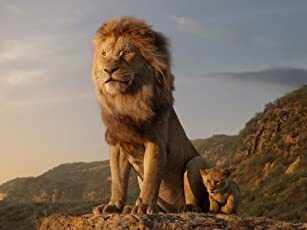 The only real negative for me is that I couldn´t always understand what they were saying due to their accent, but that´s more my failing than the movie´s.